Place cream cheese in a mixing bowl and using an electric mixer, whip cream cheese until smooth and fluffy for about 1 minute. Stir in caramel ice cream topping. Break graham cracker pie crust into pieces and place pieces in a ziplock bag, then seal bag and using a rolling pin crush graham cracker crust pieces until finely broken (there should no longer be chunks). Serve with apple slices. 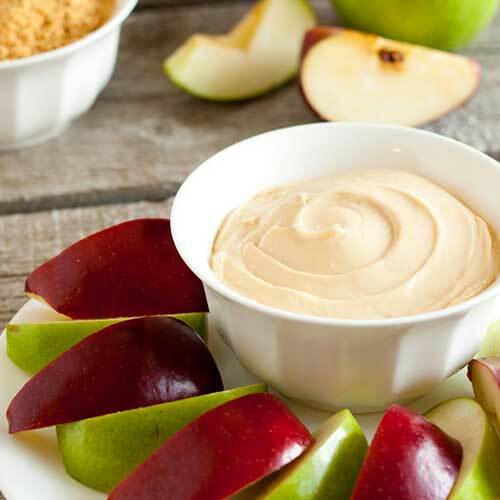 Dip apple slices into caramel cheesecake dip then into broken graham cracker crust. Store cheesecake dip in refrigerator up to one week.